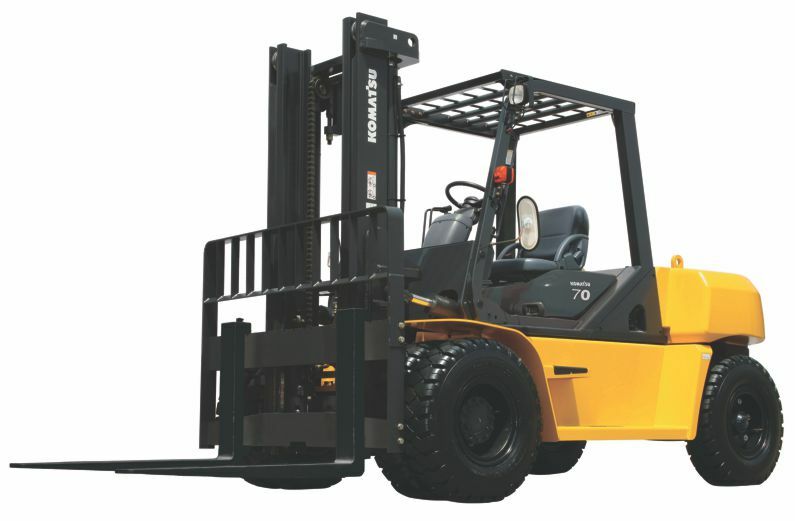 Rated at 15,400 to 18,000lbs. The standard sealed wet disc brake system is designed to withstand 10,000 hours of operation without maintenance, thereby eliminating downtime and the added maintenance costs of frequent brake shoe replacement. The engine oil replacement interval has been extended to 500 hours reducing oil costs. The reduced maintenance costs and significant fuel savings provide a total operation cost of about 14% over eight years of usage. The main hydraulic pipe connectors are face-sealed using O-rings. Waterproof connectors are provided to the main harnesses and the system controller in order to provide higher resistance to water and dust. Hydraulic and electrical piping systems are in separate configurations to improve the reliability and servicing. The DX50 series utilizes a technologically advanced, compact 3.3-liter engine in conjunction with Komatsu’s advanced OLMS hydraulic system. This advanced design achieves high productivity and first class cycle times. The OLMS Hydraulic System contributes to lower fuel consumption. As engine speeds change, the engine RPM sensing control pump detects engine revs and then controls the oil feed to reduce the load on the engine. This unique hydraulic system offers optimized balance of traveling and loading work while delivering increased hydraulic efficiencies in the most demanding applications.